McDermott’s rare talent for conveying a crisp image of a scene shines in this collection of fresh, tightly woven stories. Courtney McDermott’s collection of short stories, How They Spend Their Sundays, is like a Whitman’s Sampler of chocolates secreting fillings from nuts to caramel and marshmallow. Unlike the candy, where one bite of an unappreciated filling is enough to close the cover, McDermott’s collection, set in the African country of Lesotho, surprises the reader. Sparse prose—one sentence or fragment pulls the reader in tight—creates a crisp picture of what McDermott is conveying without having to over explain. In “The Secrets of Mothers and Daughters,” the narrator tells her dying father, “I am not your daughter,” the phrase like a great exhale accompanied by the last gasp of the man, no longer a father, and a slight twist in the reader’s gut releasing the pain this young woman has carried since her mother deserted her many years before. “The Ashen Shoes” is a modern-day take on the fairy tale Cinderella, with the same morals and ethics built in with a feather-like touch. Maseeiso is the youngest and chores and child-minding prevent her from pursuing an education. Instead of the gorgeous fairy godmother, the local witch doctor arrives to conjure up a dress, shoes, and a ride to the King’s celebration. Introduced to a young professor of English and, speaking of poetry, Maseeiso declares that she “liked Byron for being romantic. He compared women’s beauty to the night. No one ever says that darkness is beautiful.” A beautiful sentence and a lovely nod to the current that runs through the stories about the discrimination between white and black and the caste system between the various skin tones. 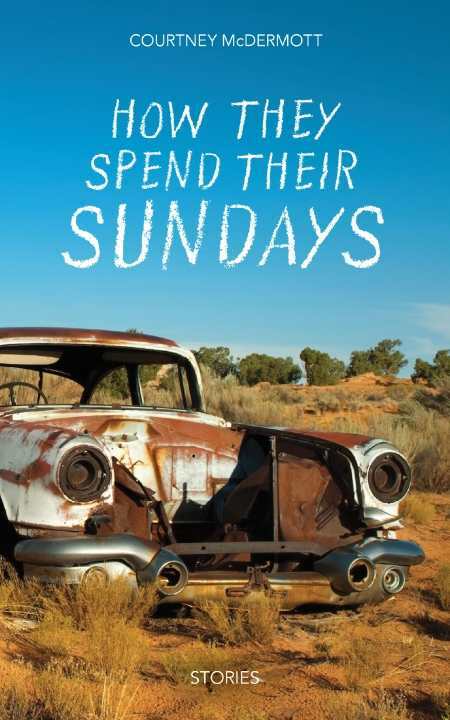 How They Spend Their Sundays is a fresh, taut collection. Born and raised in Iowa, McDermott served as a Peace Corps volunteer in Lesotho and is adroit at evoking the surroundings, characters, culture, and voice of that faraway country.